Join our Spring Campus Cleanup Days, May 15 to 17: Please RSVP! Spring is already here! 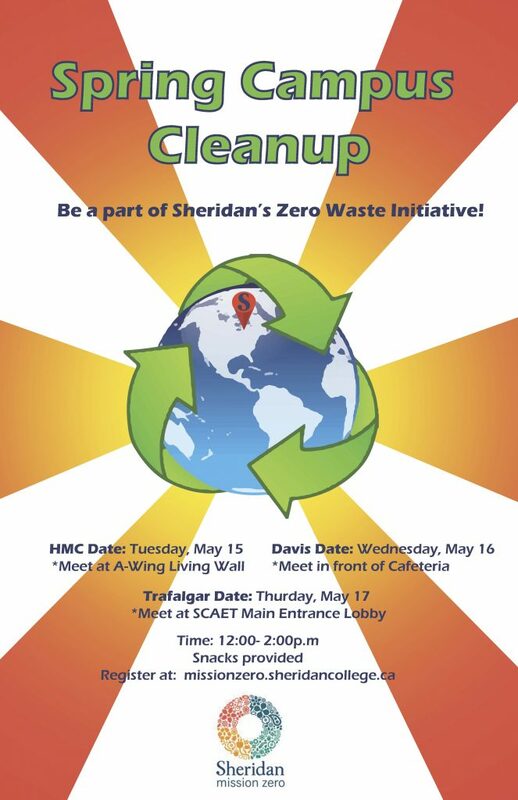 Sheridan is organizing a campus cleanup event at each of our three campuses held between May 15 to 17. We would like to invite you to join us for this community event to help Sheridan become a zero waste campus. Any staff, faculty and students are welcome! 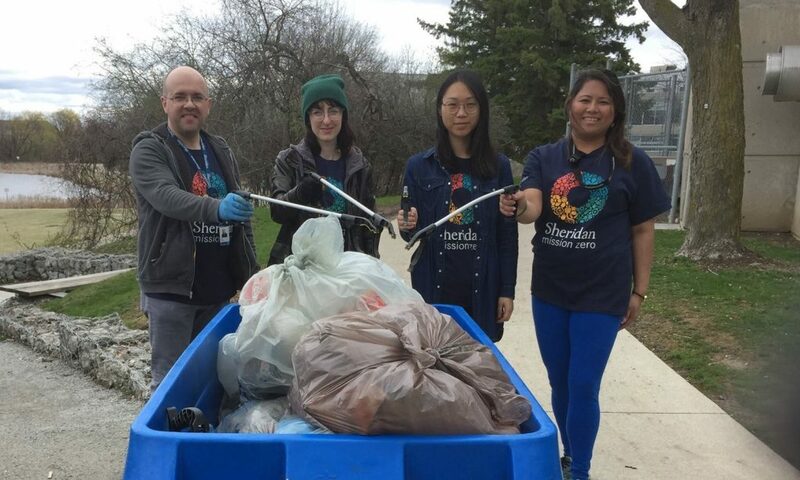 By participating in the campus cleanup event at your campus, not only will you help the environment, but you will also have an opportunity to get active and meet other members of the Sheridan community. If you are participating with your fellow members from your office, it will also be a fun activity for team-building! The event will start at 12 noon and ends at 2 p.m. Based on your availability, you can participate from 30 minutes up to more than an hour. Snacks will be provided afterwards. Below are the details for each campus. Please register by clicking on the link for your campus. If you can RSVP by Friday May 11 that would be great. At the start time of the event of each campus, we will provide directions on where to pick up the litter and the safety instructions. Gloves and bags will be provided. You are welcome to bring your own gloves. Participants are encouraged to go out in small groups. ← Food Waste: A Big Problem!